Select a size Newborn/Baby 1 y.o. 2 y.o. 3-6 y.o. 7-11 y.o. 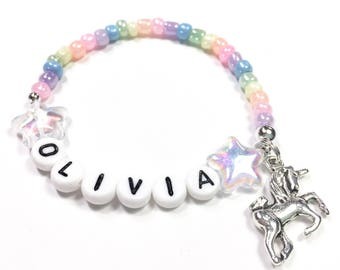 ONE Newborn Baby ID Bracelet Name Bracelet. 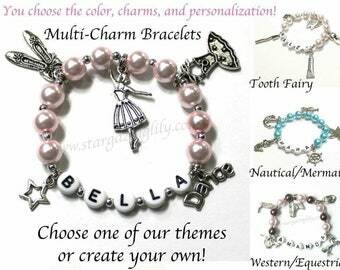 You Choose the pearl color & charm. 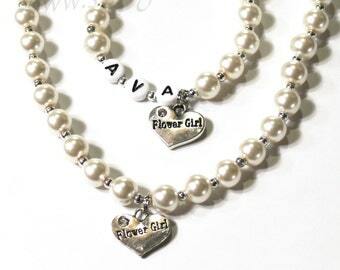 Perfect for Identical Multiples Twins Triplets as a Quick ID Order as a Bracelet or Anklet. 1. Quantity - When you add the item to your cart change the quantity desired. As long as you purchase the desired quantity and checkout only once you will automatically receive the combined shipping discount. THIS LISTING IS FOR ONE BRACELET. 2. Personalization - In the "notes to seller" box at checkout please include the personalization desired, age of the recipient for sizing. There is only one box at checkout. Please include all info in the one box. Don't see what you're looking for? Please contact me. I would love to work with you on a custom piece. Thank-you for stopping by Stargazinglily! Beautiful and exactly as requested. Will be wonderful to use with my twin girls. So adorable as always! I just ordered another. Thank you so much! Arrived early. The most beautiful and well crafted anklets ever. I will definitely purchase another set once these get too small for them. I ordered these for more my twin nieces that will be born in a couple weeks. They are beautiful and my sister loves them. Thanks so much! !